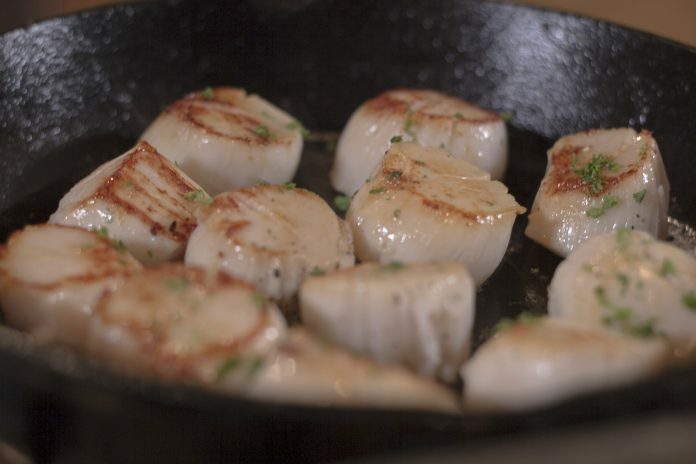 Scallops are, without question, my favorite bivalve mollusks—handily beating out mussels, clams, and oysters (all of which are also quite tasty). I’m not sure why October 2 is National Fried Scallops Day, but here we are, and a faux holiday is as good an excuse as any to enjoy some scallops. I hereby authorize you to interpret the word “fried” as broadly as you like. Personally, I’d go for pan-seared (or stir-fried) rather than deep-fried, given the choice, and it goes without saying that bacon-wrapped scallops, whether fried or roasted, are better still. And a scallop shell is just the thing to take on a long walk.